Enlist HD Foundations For Farmers Branch Foundation Repair. We Solve Foundation Problems And Prevent Cracks. When Farmers Branch foundation repair service is needed, rely on HD Foundations. We’re contractors that resolve all kinds of foundation issues. If you see fractures, we can help. We offer a lifetime warranty. When you require free foundation repair company estimates, contact us in the Farmers Branch area. Hire HD Foundations to prevent damage. Why HD For Foundation Repair In Farmers Branch? 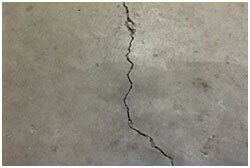 Here’s why: We stop structural foundation damage, cracks and other forms of foundation trouble. We provide solutions to foundation repair problems. 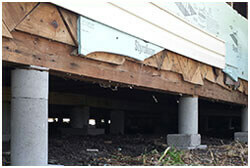 If your have a cracked concrete slab or a pier and beam foundation that is sagging, HD Foundations can fix it. We deal with crawl space issues, including damp crawl space damage. As part of our house leveling process, we install steel foundation piers and pressed concrete foundation piers in and around the Farmers Branch area. We offer a lifetime foundation repair warranty, too. One way we stop fractures from spreading is by lifting slab or pier and beam foundations and making them level. 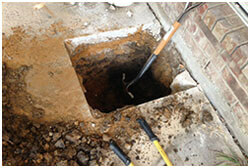 We’re commercial and residential foundation repair contractors in Farmers Branch that do the job right. Our service prevents foundation settling, sloping, deflection and other issues. As part of dealing with problems, including foundation cracks, we install pressed concrete foundation piers or steel pilings. We use these in Farmer’s Branch during the foundation repair process. If a concrete slab foundation or pier and beam structure needs to be fixed, these solve issues such as wall cracks, ceiling fractures and gaps in your exterior brick. Wet weather is a challenge. As much as 16.5” of rain has fallen within a month. As a result, French drains and surface foundation drainage systems are needed in Farmers Branch. They prevent foundation repair problems and water damage. At HD Foundations, we install these systems. Our company provides customers a lifetime guarantee on foundation piers. Best of all, our warranty is transferable. If you see any signs of trouble, ask us to perform a no-cost foundation evaluation. If you’re in Farmer’s Branch, foundation repair estimates can be schedule free online today. Or, just phone us.